Lafayette’s Potter-Haan House has come a long way, literally, since its construction as an exhibit at the 1904 St. Louis World’s Fair. We’ve heard of house moves, and we’ve been responsible for some—relocating endangered houses to save them from certain demolition—but none quite as ambitious and grand as the move of Lafayette’s Potter-Haan House. It didn’t come from down the street or a few miles away. It traveled all the way from Connecticut to Missouri before coming to rest in Indiana back in 1904. 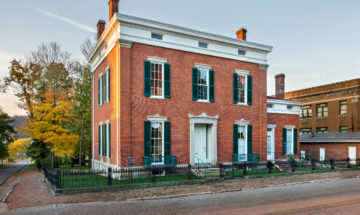 The Colonial Revival-style mansion arrived on State Street, just blocks from the Tippecanoe County Courthouse, after serving as the Connecticut Pavilion at the St. Louis World’s Fair. At the fair’s end, Lafayette attorney William Potter bought it at auction for $3,000 as a present for his wife Fannie. 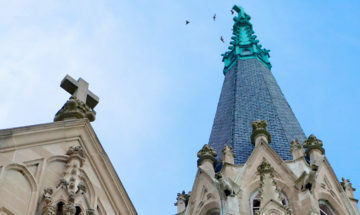 He had the 10,900 square-foot building disassembled and shipped by rail back to Lafayette, hiring Fort Wayne architecture firm Wing and Mahurin to rebuild the house on his property. 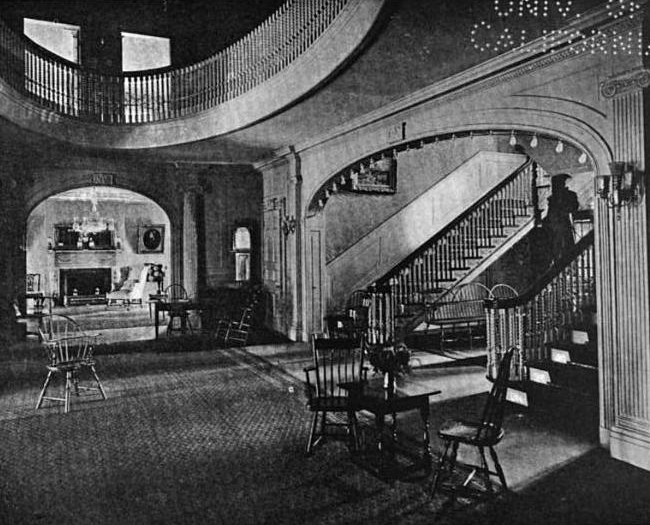 The mansion includes a great hall, double staircase, interior arches, columns, and pilasters, as well as verandas on two floors. 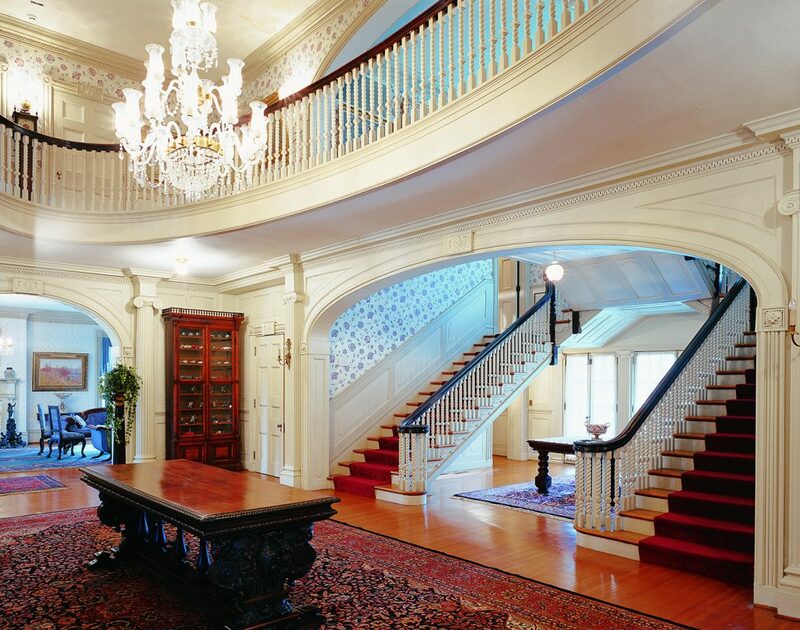 Purchased by Bob and Ellie Haan in 1984, the house doubles as their private residence and art gallery. The Haans have been collecting historic Indiana art for over two decades, with examples from the Hoosier Group, Richmond and Brown County artists, and 1930s and 1940s Regionalist paintings. The couple generously shares their collection, loaning pieces to museums in Indiana and Ohio. The Haans have also made the house a showcase for antique furniture, with several Renaissance Revival pieces, and, in a nod the house’s heritage, Weller vases from the World’s Fair. 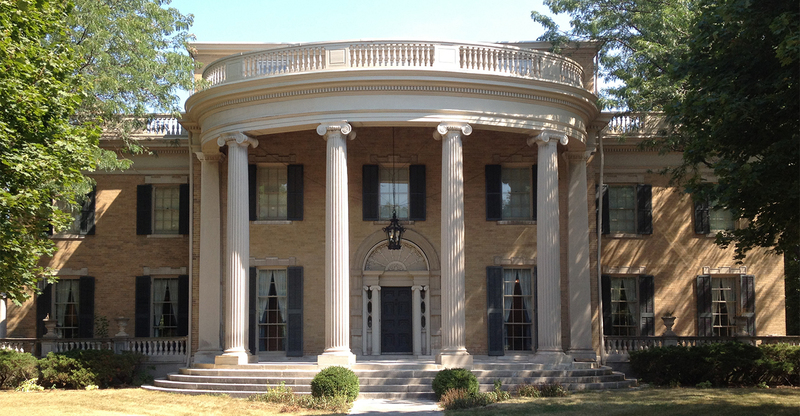 The home is open Wednesday through Saturday as the Haan Mansion Museum, with guided tours on select weekends. 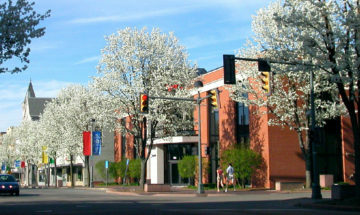 For information about tours and upcoming events, visit www.haanmuseum.org.